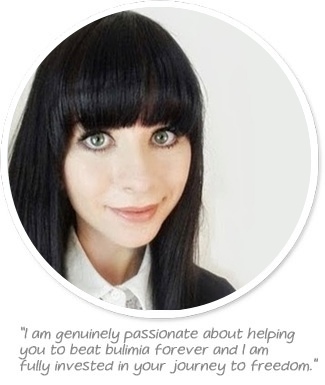 Please find below last part in the Bulimia Coaching Series by Bulimia Help Recovery Coach Catherine Liberty. Catherine talks about life after Eating Disorder. Today I’d like to end by sharing with you a little about what it’s like to live after bulimia, once you have recovered. I’m sure you already have an image in your mind of what things would be like if you didn’t have to waste so much time, energy and money on your eating disorder. 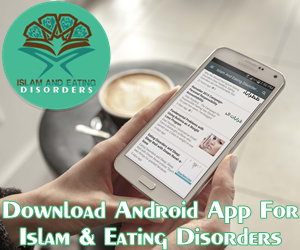 But can you really envisage just how different your life will be once bulimia is no longer a part of it? Personally, I completely underestimated just how incredible my life would be once I was no longer bulimic. Of course I always knew my eating disorder was holding me back in life but I honestly didn’t realize the extent of it until I’d been freed. I wasn’t just left with more time, energy and money (although those things were all absolutely wonderful). I was also left with a new level of self-assurance and self-confidence that I’d never experienced before. I developed a true love of life and a brand new sense of humour to go with it. I was left with a mind absolutely bursting with creativity and began waking up feeling inspired by the new ideas I’d had and being motivated by the new directions I wanted to take in life. Incidentally, one of those ideas involved finding a way to help others to recover from bulimia and that’s a big part of how recovery coaching was born here at Bulimia Help. Plus after navigating the challenges of recovery I found that I was left with what felt like superior abilities to deal with stress and the future life challenges that came my way. I knew how to react to stress, I knew how to respond to negative emotions, I finally understood how to care for myself and how to live in this world without constantly feeling burnt out and overwhelmed. I went from being a fragile little girl who never believed recovery from bulimia would be possible to someone who felt like a true champion in her heart. I think ”liberated” is the best word to describe how I feel today, in honesty it’s how I feel every day since I removed bulimia from my life. You can have all of this too, and so much more! So from now on, when it comes to imagining your life without bulimia, I want you to DREAM BIG because the reality is this: anything is possible. Bulimia may have ruined your dreams and aspirations in the past, but there will be new dreams, new ideas, and new motivation in your life. Ultimately you’ll get to a point in your recovery where you breath a sigh of relief as you realise that your past does not have to determine your future. For some, the decision to let go of bulimia isn’t always easy. Recovery can be challenging and filled with ups and downs, so it helps to be clear of the reasons why you want to persevere. Try this simple exercise to help you get some clarity. Imagine that you decided to forget about recovery and to remain bulimic. Its now 5 years in the future and you have decided to write a letter to a close family relative (or friend) who really loves you. You are completely honest with them and decide to tell them exactly how things are. Now take 10 minutes to write out this letter from your imagined future. After writing this read it through – do you want this life? If the answer is no… then write another story. This time imagine you decided to stick with recovery and you have been free from bulimia for 5 years. Now write a letter to the same close family member (or friend) or someone who really loves you and tell them everything about your new life. How do the two letters compare? Which life appears more appealing? Can you use your second letter as motivation during more challenging times in recovery? Gee wielsklri, that’s such a great post!